After An Aran for Frederick flew off to Jane Austen Knits for his photo shoot, I found myself staring at a bag of steely-grey/lavender worsted-spun wool that kept telling me it wanted to be something shapely. Having had so much fun with the construction for Frederick, I decided to see what I could do with the hybrid yoke style for a woman. She was looking remarkably well; her very regular, very pretty features, having the bloom and freshness of youth restored by the fine wind which had been blowing on her complexion, and by the animation of eye which it had also produced. ... [Captain Wentworth] gave her a momentary glance,—a glance of brightness, which seemed to say, "That man is struck with you,—and even I, at this moment, see something like Anne Elliot again." 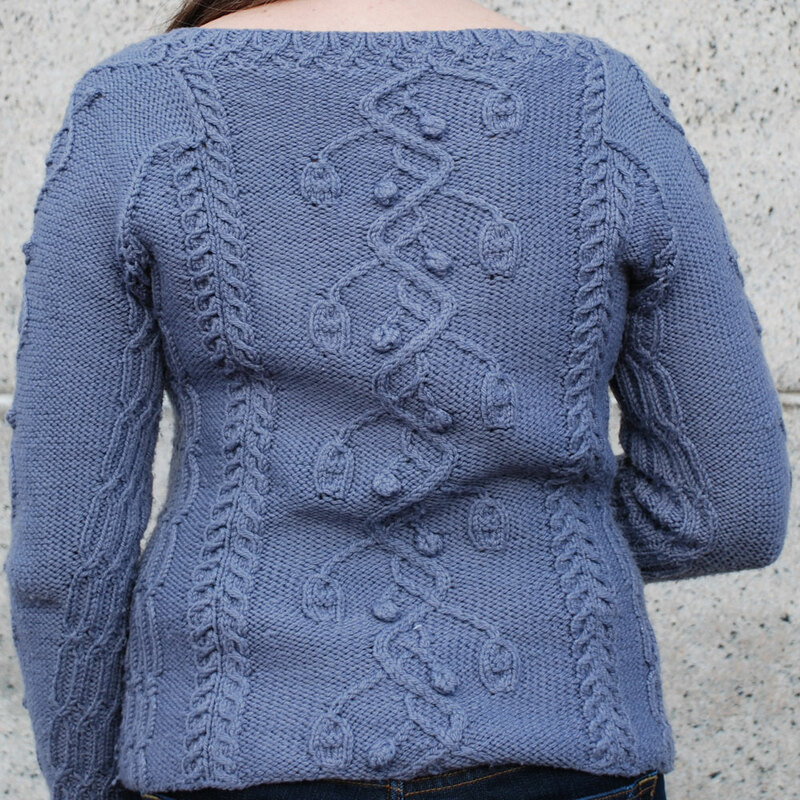 The elegant little woman Miss Anne Elliot merits her own pretty pullover, with waist shaping and a variety of twisted stitch patterns. 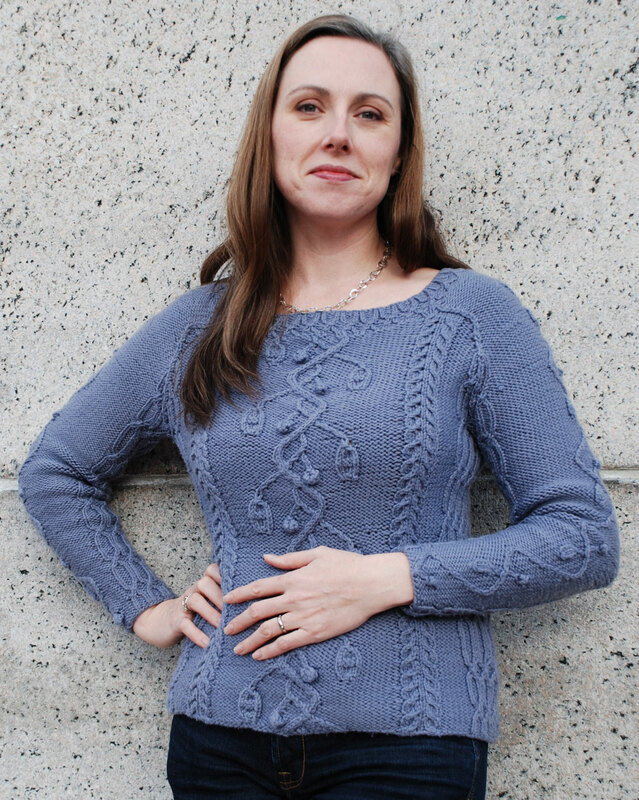 Elegant Ribbing accentuates the waist shaping, while budding (bobbling) vines wind their way up front, back, and sleeves. And the easy-to-remember Inverted Gull Stitch pattern nods to Anne’s beloved, Captain Frederick Wentworth, much at sea. Like An Aran for Frederick, An Aran for Anne is worked in the round from the bottom up. The yoke is a saddle-shouldered hybrid style. Waist-shaping and a wider, almost boat-style neck ensure that shapely Anne won’t be mistaken for manly Frederick! 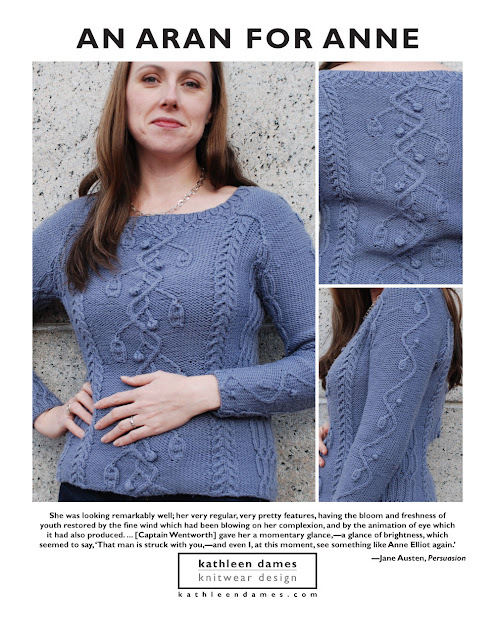 Everything you need to create your very own An Aran for Anne has its place in this professionally formatted (by me!) pattern. Cables are provided in chart form only. And don't forget that An Aran for Anne is part of my Jane Austen Knits bundle. 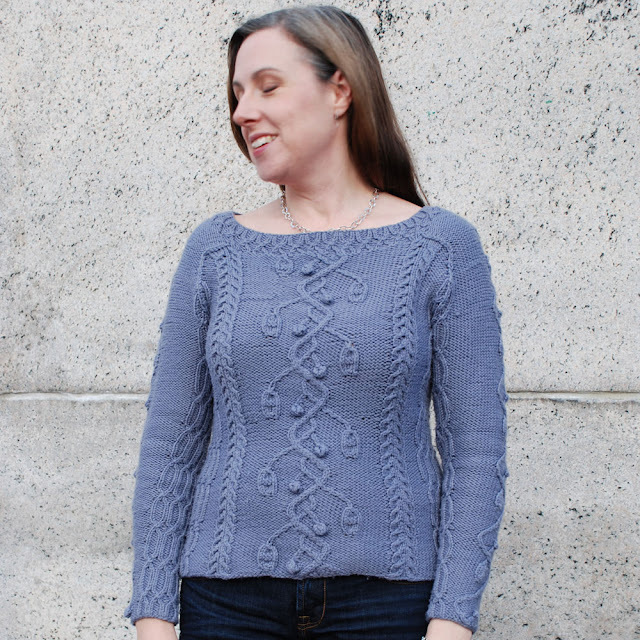 Use code jakbundle to purchase An Aran for Anne, An Aran for Frederick, and Sotherton for $15 ($21 value). Previous purchases from my Ravelry store will be credited towards the bundle price at checkout.